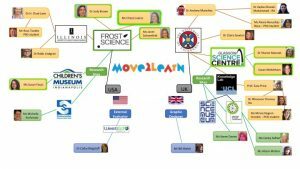 Move2Learn is an international collaboration of informal science educators and learning science researchers that aspires to advance understanding of the role of embodied interaction in young children’s learning about science in informal settings. We strive to contribute both to learning theory and the practical and intentional design of science exhibits and facilitation that will joyfully engage our youngest museum visitors in science concept development. Develop a new practitioner/researcher interaction model to strengthen collaborations among informal learning practitioners and learning science researchers. Understand the role of embodied interaction in young children’s learning about science. Inform the intentional design of science exhibits and body-based communication. 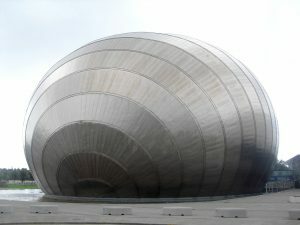 Research sites include six locations across the United States and United Kingdom, with the goal of gathering evidence of embodied interactions during science learning, and articulating design principles about how museum exhibits can most effectively encourage cognitive and physical engagement with science content and processes.